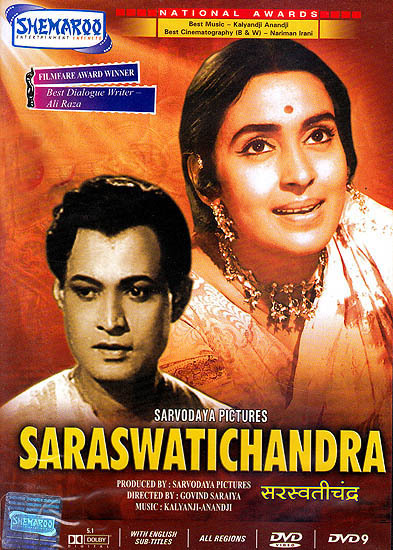 Set in the nineteenth century Saraswatichandra is a stirring saga of two made for each other lovers who are repeatedly denied the joys of physical union by destiny and tradition but cannot be emotionally and spiritually distant. Saraswatichandra writes a letter to Kumud (Nutun) refusing an offer to marry her. She replies and soon they are exchanging love letters. The reluctant groom has become the ardent lover and defies tradition to pay his betrothed a visit. A family dispute ends in the marriage being called who is drunk and a philanderer so much so that his roving eye even lights upon the housemaid. Saved from a suicide attempt by some inmates of an ashram kumud meets Saraswatichandra again. Can their love flower again? Can they regain their lost years and happiness? This film boasts a tour de force performance from Nutan probably one of her finest.